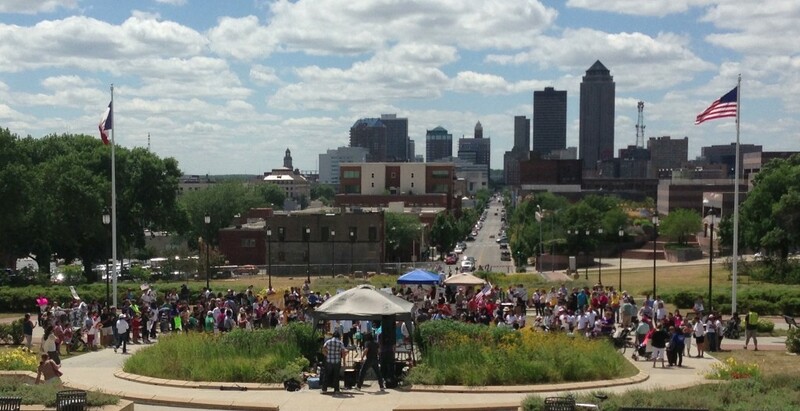 ICAN and a statewide coalition of organizations had over 200 people rally for Immigration Reform on Saturday July 27. The Network for Immigration Reform and its supporters met on the west terrace of the Iowa state capitol to urge the House of Representatives and Tom Latham to vote Yes for Immigration Reform. Honors Iowa’s tradition of welcoming newcomers! Provides a clear and doable path to citizenship! Protects the labor, civil and human rights of all residents! Stops the militarization of the border!